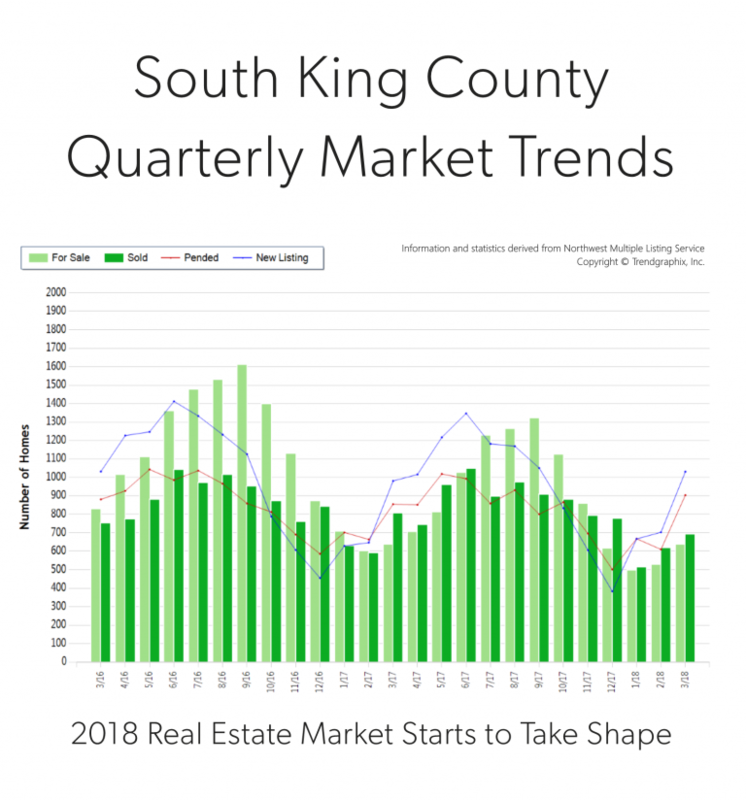 In fact, there was a 47% increase in new listings in March compared to February. 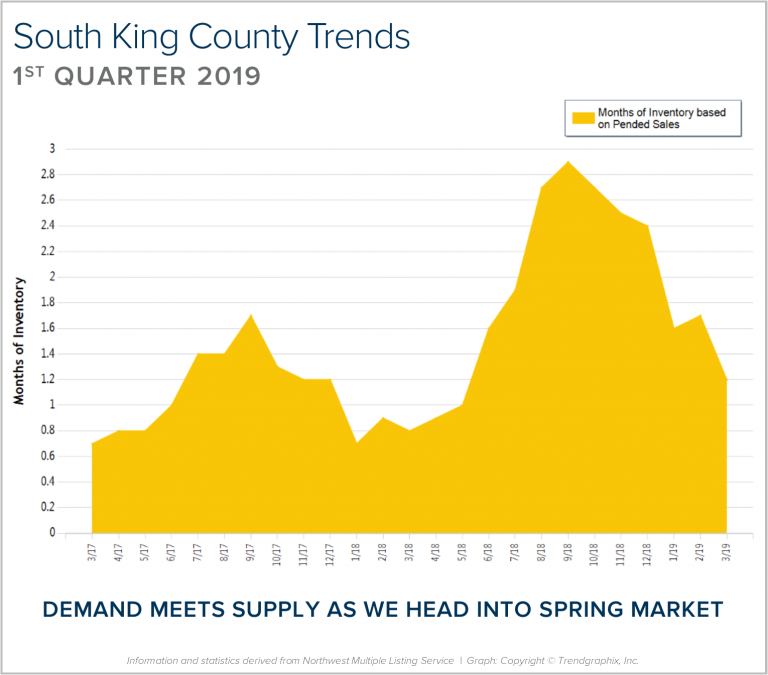 That increase was matched by a 48% rise in pending sales, illustrating very strong demand for housing in south King County. 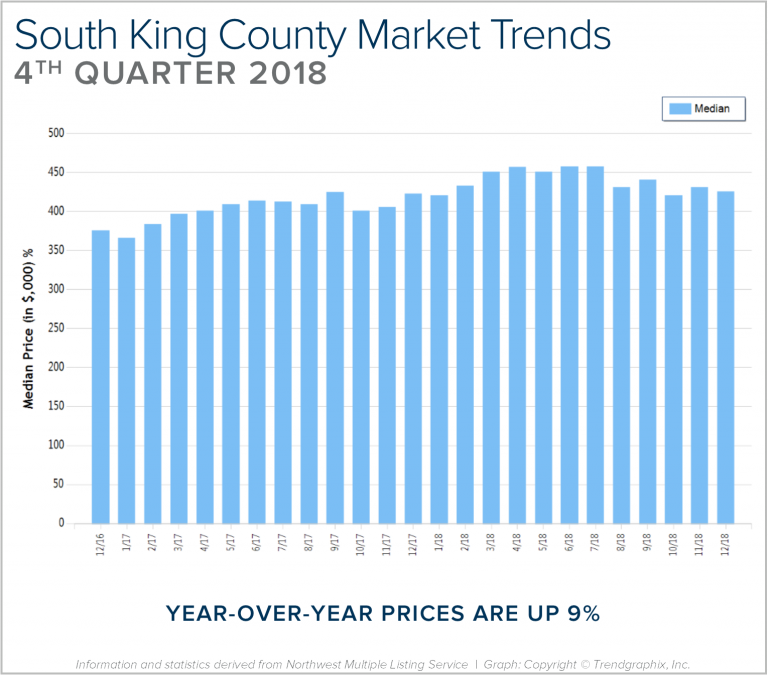 Last month, the average list-to-sale price ratio (how the sale price relates to the list price) was 101%, indicating that multiple offers were the norm. 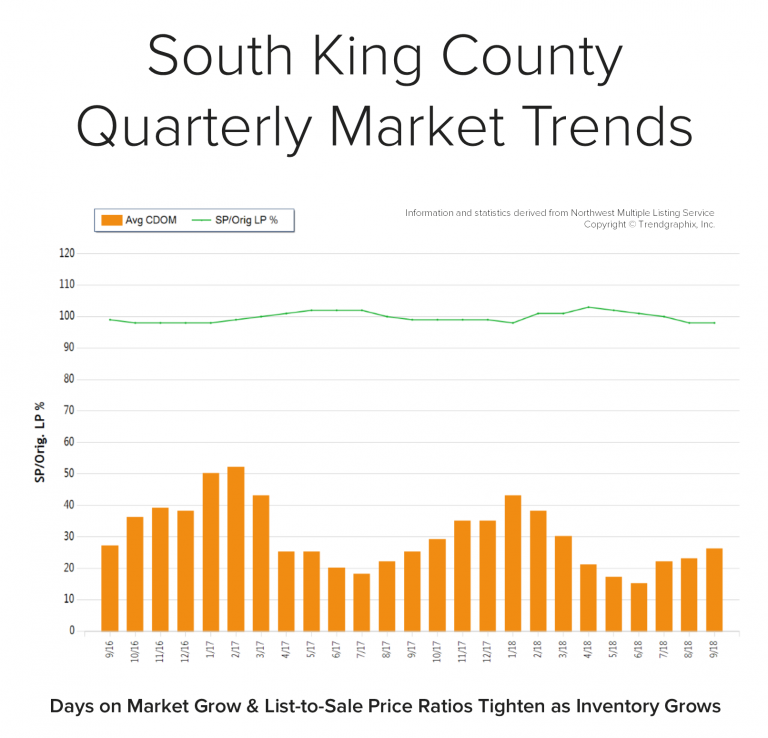 We ended the quarter with 0.7 months of inventory – the lowest level yet. 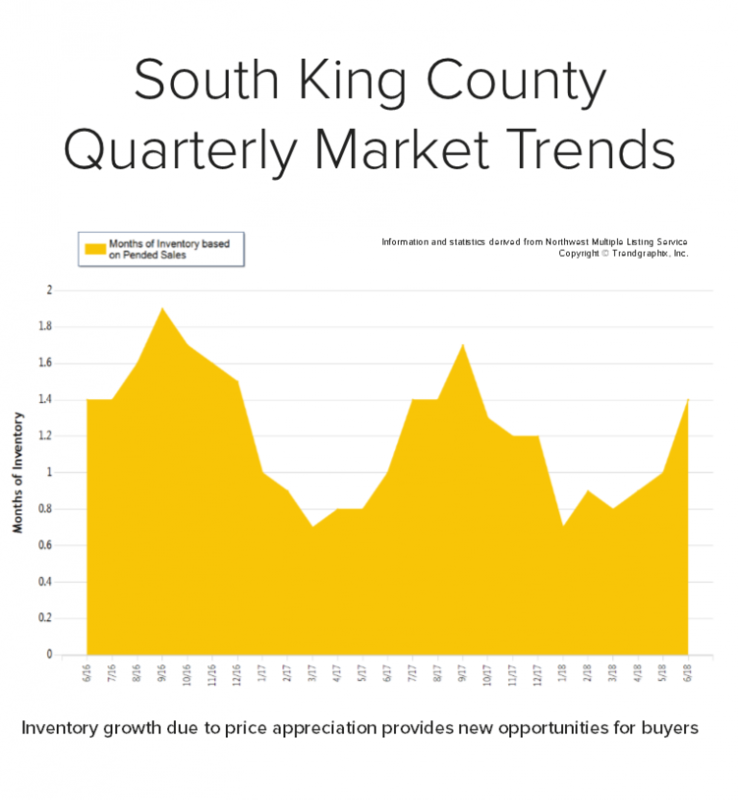 More inventory would be absorbed by happy buyers looking for more selection and would help to temper price growth, which is up 12% year-over-year.